Peridot has been known since ancient times, and high quality peridot was mined from the island of Zabargad in the Red Sea. Some historians believe that Cleopatra's famous emeralds were actually peridot. Peridot has several unusual properties. Most gem varieties are formed in the earth's crust. 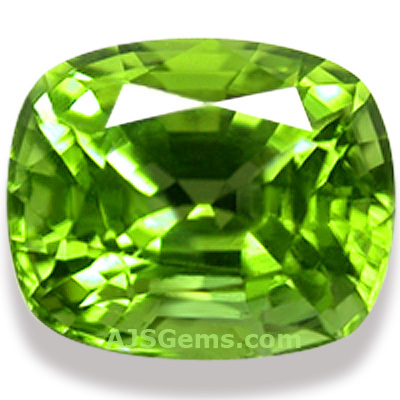 The two exceptions are peridot and diamond, which are formed much deeper in the earth, in the earth's mantle. Peridot forms in magma in the upper mantle, about 20 to 55 miles deep; and it is brought to the surface by tectonic or volcanic activity. Diamond, by contrast, is formed much deeper in the mantle, around 100-150 miles below the surface, at extreme pressure and temperature. Important peridot sources are Burma, Pakistan, China, Vietnam and the United States. 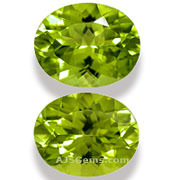 The finest quality peridot has traditionally come from Burma, though the Pakistani peridot is now highly regarded as well. The USA was for many years the largest peridot producer, with major deposits in Arizona. It is estimated that 80% to 95% of the world's production of peridot comes from the USA mainly for commercial quality peridot (peridot is the birthstone for the month of August).